Hat trick of wins for the Robins. 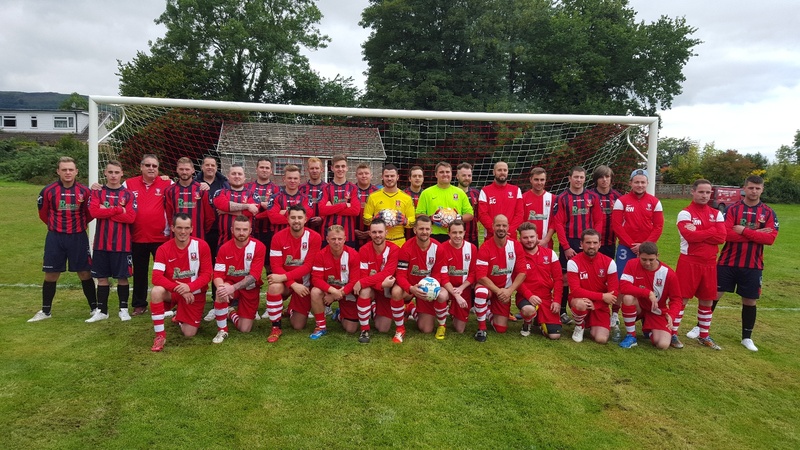 Gilwern maintained their 100% record on Saturday with a well deserved victory by beating Tranch away 8-1. Gilwern took to the field in high spirits but soon found themselves behind early in the first half after keeper Dan Hook gave away a penalty which was sweetly converted by Adam Cleary. Following a series of misses, noteably a howler by Spud Randall, Gilwern began to show their dominance and quickly equalised after fine work by Sean Chidgey(3). Midfield general Dan Gandera(2) took control of the midfield and scored twice in quick succession with thumping drives from 20 yards. Gilwern led 4-1 at half time. The second half saw Gilwern maintain their dominance and increased their lead through a magnificent goal from Blair Keane(1) who lobbed the Tranch goalkeeper from just inside the halfway line. Debutantes Toby Smith and Luke Cahill both showed promise displaying some nice touches. Gilwern were now in control with the defence thwarting every move Tranch made, midfield dominant and strikers rattling the Tranch crossbar continuously stand in striker "Coach Mazza" was guilty of missing some simple chances and can expect some additional training on Tuesday,However Mazza(1) and Spud Randall(1) made up for their earlier misses and both scored to complete a superb win for Gilwern.